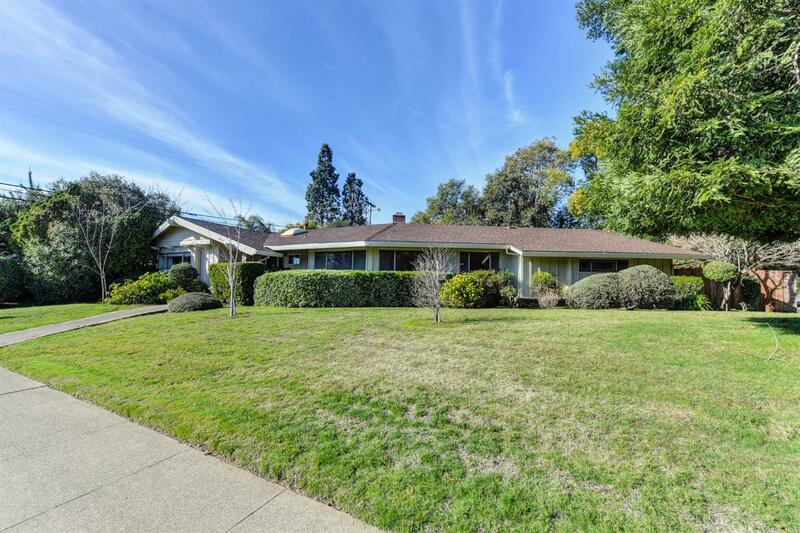 Highly desirable neighborhood offers a spacious, single story family home on a large corner lot. 3 bedrooms, 3-1/2 baths with 2449 square feet. The kitchen features a double oven, dishwasher, and electric burner. Fireplace and wet bar in the formal living room which opens to the dining room. Built-in book shelves. Laundry room with cabinets. Original interiors allow you to bring your imagination to transform this home into an entertainers delight! Unknown condition of backyard spa.